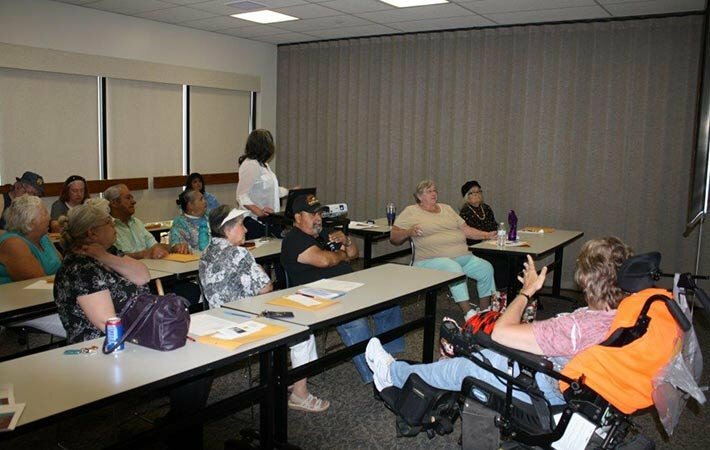 The Scoodeo program is run by Active Re-Entry and the Southeastern Utah Health Department. It is hoped that the Scoodeo Program will become a national standard for those who use electric mobility devices in rural/frontier areas. The name 'Scoodeo' comes from combining electric 'scooter' users into a 'rodeo' for training on how to use the devices. Everyone has seen them; the people who through necessity must use a personal mobility device or scooter to get around in their daily lives. And while everyone has seen them, most people are unaware of their struggles to make it from their homes to their appointments and to do daily chores. Imagine that you yourself are faced with suddenly having to use a scooter. Would you know how to operate the device safely? Would you know the rules of the road? Would you know the safe routes to use to get to your appointments? Faced with all of this uncertainty is a daunting prospect and that is why Active Re-Entry and the Southeastern Utah Health Department have teamed up to create the "Scoodeo Program". 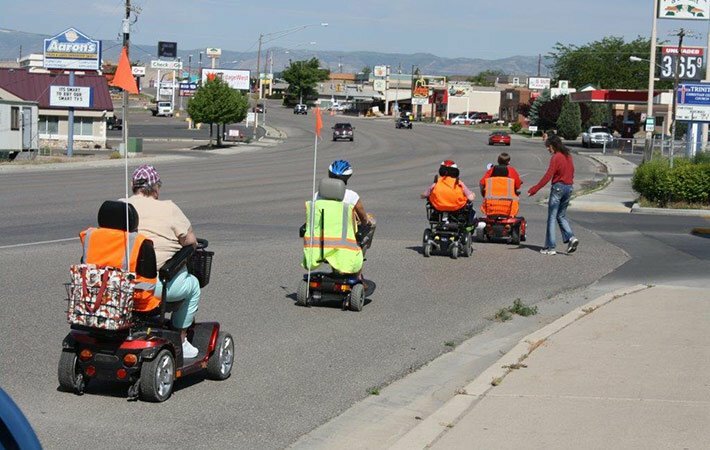 Similar in design to a bicycle rodeo, the "Scoodeo" Program helps people who utilize these personal mobility devices to operate the machines in a safe manner for themselves as well as the traveling public in automobiles. For more information about participating with and/or supporting the Active Access / Scoodeo Program please call 435-637-4950.